When Sunrise Signs is successful in helping a business continually build their brand, they are life-long customers. This is how we feel about our relationship with allRisk Property Damage Experts. In the past, we have wrapped a Chevy Express van, Spartan van/truck and an Isuzu Hino double cab box truck. 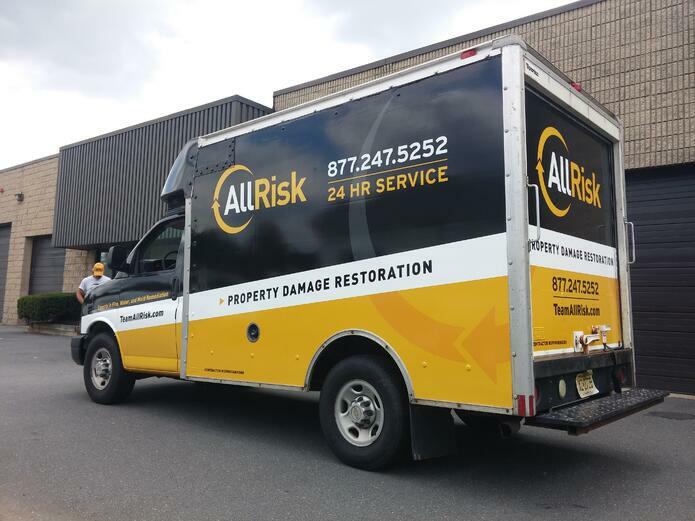 Now allRisk has returned to Sunrise—and this time it was to wrap their Ford F250 Utility Body Truck.